I’ve been running for a couple of years now, having started with a C25K programme and working my way up to regular 10Ks, 10 miles, obstacle runs, and several 5Ks a week. I’m doing my first half marathon in April and, assuming that goes well, might do a full one in October. Rain (sometimes) or shine, on a weekday evening I’m a regular somewhere along Bournemouth seafront, where you’ll find me somewhere between Boscombe and Sandbanks. 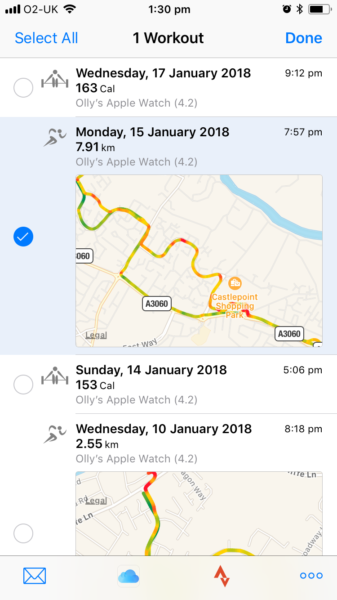 Until now I’d been tracking my runs with my phone strapped to my arm with Strava, but waking up on Christmas morning to a brand new Apple Watch provided an opportunity to improve my fitness tracking. Apple’s Workout app is excellent, offering support for tons of different activities and providing lots of lovely stats afterwards. 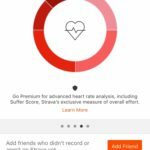 It can track my heart rate during and after a run, syncs with numerous other devices without needing to pay a premium subscription, and doesn’t provide the bafflingly inflated calorie estimates that Strava is known to do. My problem was that I had several years of runs and a handful of similarly inclined friends on Strava, and I didn’t fancy losing that social aspect, not to mention my PBs on the numerous Strava segments I regularly run. Strava has its own Apple Watch app, of course, and it’s perfectly functional and capable of depositing its runs into the Activity app alongside any Apple-tracked workouts. 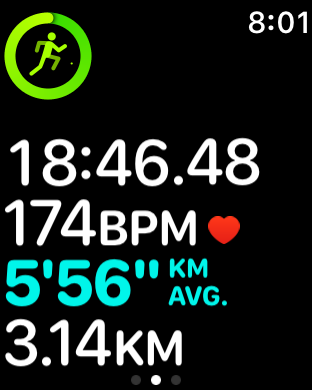 In fact, my first run with an Apple Watch, on Boxing Day, was tracked with the Strava app. But it lacks some of the stats, including heart rate recovery (being a native app, Apple’s Workout can keep tracking your heart rate after the run has ended) and those all-important GPS-tagged route maps. And since I was going to be using Activity for tracking weight training and other workouts anyway (Strava is limited to running and cycling), I was keen to streamline things by using one app for all my exercise. The solution, then, would appear to be liberating my Apple-tracked data and dropping it into Strava. But that’s not always an easy thing to do with Apple. Trying a failing with a few apps, I came across HealthFit, which, wonderfully, does exactly what I need it to and nothing else – the last thing I wanted was to bring a third fitness-tracking service into this. All it does is export your workouts from Apple’s Activity app in the widely supported Garmin .FIT file format, where they can be saved to your iCloud Drive, emailed or automatically uploaded to a number of different services, Strava among them (the others are TrainingPeaks, SportTracks, Final Surge, Selfloops and Dropbox). A few taps and my run is exported, and it’s a matter of moments before Strava pops up a notification that it’s ready to view in its app, indistinguishable from a Strava-tracked run. 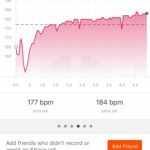 Better, in fact, since my exported runs feature heart rate charts – a Strava Premium feature if I used their Apple Watch app. 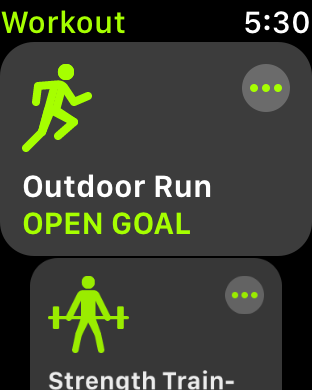 …but an Apple Watch export includes all that lovely data. The only niggle was that, since Strava was installed on my phone and allowed to write its workouts to the Health and Workout apps, anything exported into Strava through HealthFit was appearing twice. That was solved by simply revoking that permission in the Health app (in the Sources menu), giving Strava read-only access. Were I not into fitness, I’m not sure I’d find the Apple Watch worth it. A timekeeping and notification machine is cool, but a questionable value proposition. However, if you throw in comparable fitness-tracking to the high-end offerings from Fitbit – at the time of writing the only Fitbit with built-in GPS is the Ionic watch, which starts at £299, or only £30 less than the much more flexible Apple Watch Series 3 – and it becomes much more justifiable. The fitness-tracking focus of watchOS 4 suggests that a couple of years on the market has led Apple to a similar conclusion. The Apple Watch is the absolute definition of a technological luxury item, completely unnecessary but kind of cool when you have one. It’s a fantastic fitness-tracker, though, particularly for outdoor activities, and the sheer omnipresence of iOS means, by proximity, any fitness-focused online service is likely to have some level of support. This comprehensiveness, coupled with the constant nudges to close my rings, is often enough to get me out when the cold weather and post-work fatigue might otherwise tempt me to take an evening off. Strictly speaking, I’m not an AFC Bournemouth fan. I’ve been a supporter of Manchester United since I was a kid and always will be. But I am a lifelong Bournemouth resident – no United fans actually live in Manchester, remember – and I remember going to Bournemouth games with my dad and uncle. I remember watching on TV as they literally passed a bucket around in the Winter Gardens to collect donations to stave off bankruptcy, and that’s not the only time I’ve seen it minutes from the end. 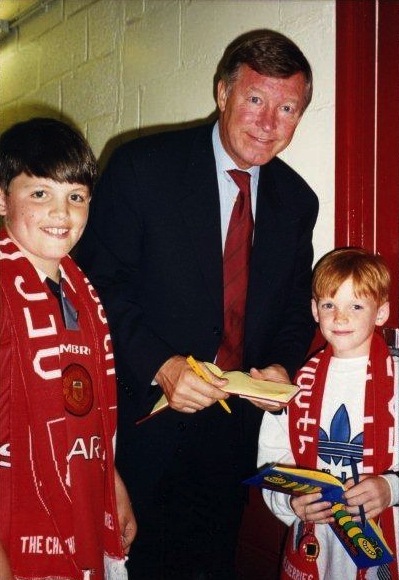 I met Sir Alex Ferguson and David Beckham in the tunnel at Dean Court when United came down for a pre-season friendly and my dad sponsored the match ball, circa 1996. A close family friend has the dual claims to fame of being a former Bournemouth player and an answer to a question on A Question of Sport. (It was on sports people named after body parts, incidentally.) My dad has a framed photo from the Daily Express on the wall showing the Bournemouth goalkeeper making a save as the Cherries beat Stoke City 4-0, his company’s logo on the hoarding below him. It’s a club I have numerous connections with, in other words, and therefore also a lot of fondness. That’s what’s left me so chuffed over what’s happened today. Bournemouth in the Premier League is surreal and wonderful to see. It’s still odd to type, like it’s something that happens to other, better resourced clubs: Bournemouth in the Premier League. How on earth did that happen? Officially it hasn’t yet, admittedly. I hope I’m not looking back on this post with embarrassment after Charlton’s prediction comes true. Good luck to them. They’ve played great football this season and are about to become very rich indeed – a far cry from shaking buckets for pennies. Becoming a Premier League fixture is perhaps too much to hope for, but you never know. Other clubs have come up and impressed, even if they don’t stick around for long. Invest it wisely and be a Swansea rather than a Portsmouth. But that said, when Bournemouth visit Old Trafford, I’ll be sitting in the home end.